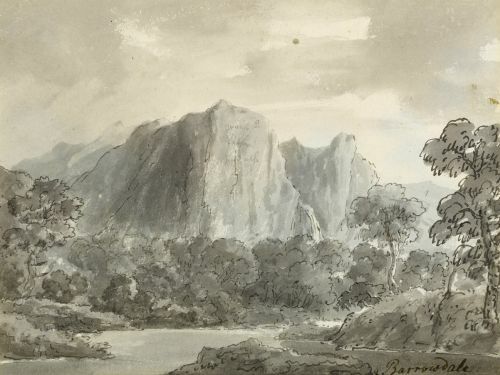 This drawing belongs to a group of Lake District views by him which seem to date from the late 1790s. For another Lake District view by Becker, with a similar inscription, see a view of Windermere in the British Museum (BM1948,0519.1). Little is known about Becker but he was probably a pupil of Richard Cooper, Jnr. and seems to have been in Rome circa 1780.